We applaud the recent call for the reduction of the cost of governance in the country by the acting Chairman of the Revenue Mobilisation, Allocation and Fiscal Commission (RMAFC), Shettima Abba Gana. The RMAFC boss, who made the call during the recent National Policy and Development Summit in Abuja, stated that the cost of governance could be minimised by reducing the number of political appointees and aides. Other factors that led to high cost of governance, according to him, include high cost of public delivery due to infrastructure failure, high security costs due to insurgencies, kidnappings, ethno-religious agitations, armed robbery, multiple salaries, extravagant activities and expenditures, high domestic and foreign debts and weak enforcement institutions. However, Gana advised that the cost of governance can be reduced by merging and rationalising government agencies with similar functions and adhering strictly to approved remuneration of political and public officeholders. Besides, he stated that attitudinal change in terms of disposition and lifestyle of political leaders are viable options to prune the cost of governance. 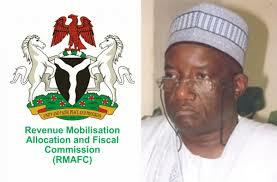 We think that the concerns expressed by the RMAFC Chairman are genuine and timely. The time to drastically reduce the cost of governance is now because the economy can no longer support the opulence of our political office holders. Moreover, the nation’s dwindling revenue can hardly carry the jumbo allowances of politicians that take much of our recurrent expenditure and overheads. There is urgent need to cut the sundry allowances paid to our political appointees, aides and lawmakers. No doubt, Nigerian democracy is, perhaps, one of the most expensive in the world. Since the present democratic dispensation in 1999, most Nigerians had decried the expensive nature of the presidential system of government. Available statistics show that the 36 states in the country budgeted N12trillion for salaries, allowances, overheads and pensions in four years, 2014-2018. In spite of the recommendations of RMAFC that is statutorily empowered to determine the remuneration of political officials as provided in Sections 84 (1-4) and 124 of the Constitution, efforts to reduce the cost of governance has been feeble and, indeed, overlooked by politicians. In 2015, the International Monetary Fund (IMF) advised the Nigerian government to reduce high cost of governance and end the financial recklessness of those in political power. That advice is still relevant now. Let our politicians muster the political will to cut the cost of governance because it can put our democracy in harm’s way. With the fluctuation in the price of crude oil in the international market, our budgets will continue to run on high deficits if the cost of governance is not urgently reduced. We enjoin politicians to show leadership by example. So far, efforts by political office holders to cut salary have not achieved the desired objective. Therefore, we call on all tiers of government to work in concert and reduce the high cost of governance. We believe that a downward review of political officials’ emoluments has become vital. There is also the need for government to work towards reducing high cost of public service delivery. Since 2015 when the Abdullahi Inde-led Committee was set up to review the Remuneration Act 2008, which prescribed the salaries and allowances for political, judicial and other public officeholders, little has been heard about the recommendations of the committee. Reducing the cost of governance must be done so that the government can have more funds for development projects.